Igor Rotar: Working in the States, I commonly answer numerous questions about the Central Asia asked by my American friends and ex-Russian citizens because I have long lived in the Central Asia and written a lot about it. These answers have come together in some kind of an essay that sums up at least a part of my impressions and perceptions, designed primarily for those who live far away from this region but keen to learn more about the Central Asia which experiences currently a difficult transition from the Soviet past towards the unclear and just vaguely outlined future. 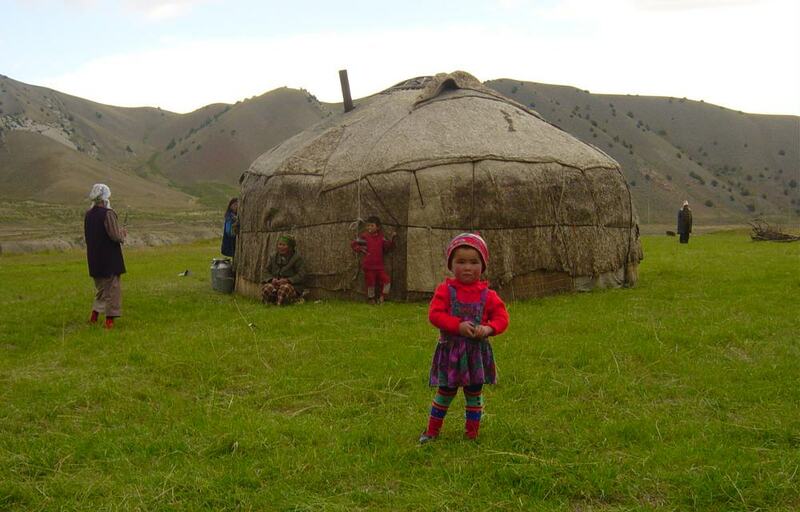 Central Asia is a vast region with the population of over 50 million. This huge sub-continent has got an extremely diverse nature: majestic mountains of Tyan-Shan and Pamir (world’s second tallest after the Himalayas), extended steppes and deserts, and even the taiga (in the north-west of Kazakhstan at the border with Russia). A lot of geographers are inclined to consider the Kazakhstan and the northern Kyrgyzstan as just an extension of the southern Siberia and Mongolia, whereas the “genuine” Central Asia lies south to the Tyan-Shan ranges. This is exactly where some of the major cradles of the Islamic civilization are to be found: the cities of Bukhara, Samarkand and Khiva. Not too much remains to link this unique multi-cultural region with Russia nowadays. This impressive “fragment” of the former USSR is growingly resemblant of the neighboring Afghanistan and to a lesser extent of its former metropolis. Central Asia today is perhaps the only place in the world in which a Russian passport is an object of envy and respect. To go abroad, beyond Russia is a dream that never comes true for the local population – up to 90% of visa applications in US embassies get rejected. To be successful for a Central Asian native means to get a job in Moscow, or at the worst, in any major Russian city. A great deal of companies in Kyrgyzstan or Tajikistan make money by finding jobs for their compatriots in Russia. As a result, almost each and every janitor in Moscow is of Tajik or Kyrgyz origin. However, at least one country in Central Asia lets its citizens show less piety towards the Russia’s wealth. Making money from oil, people in Kazakhstan appear to be on equal footing with Russians. One can not help but get an impression that citizens of Almaty sub-consciously adopt the Moscow life-style: similar traffic jams, plenty of luxury cars, driven by shaved head mean looking men dressed in leather. Even local media strive to look like Moscow: Almaty has its own version of the “Moskovskiy Komsomolets” newspaper. Russian ethnic population in the Central Asia is estimated at 6 million. This is one of the largest Russian diasporas abroad. As a matter of fact, these people have found themselves in isolation from their historic homeland. It costs around $500 to fly from Central Asian republics to Moscow. This price is absolutely unthinkable: average monthly salary in all Central Asian republics (except Kazakhstan) hardly reaches $100. Meanwhile, living in a Central Asian republic is growing different from living in Russia. Many Russians’ experiences make them realize they live in a foreign country which is often times hostile to their historic homeland. 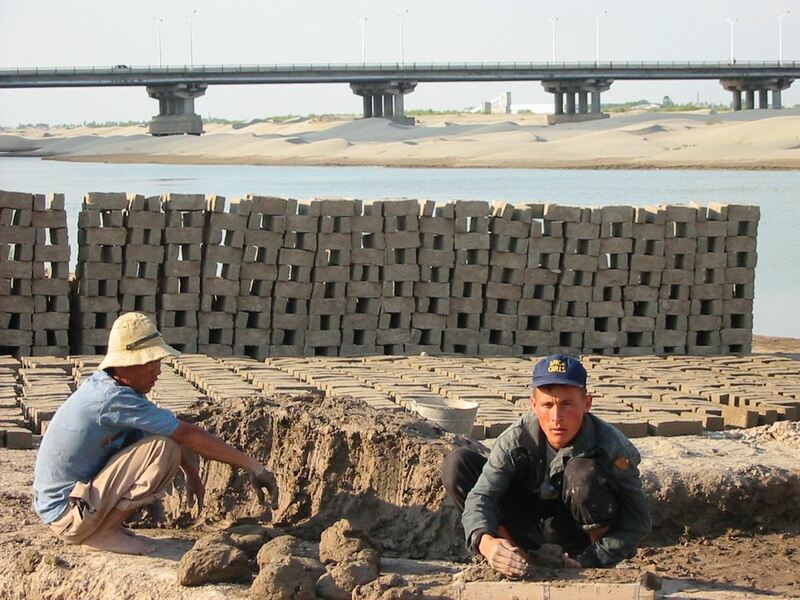 While Tajikistan and Kyrgyzstan at least refrain from discarding the cultural heritage of the former metropolis, Uzbekistan and Turkmenistan pursue a totally opposite policy. Uzbekistan, for instance, has demolished all monuments of Russian writers save for the monument of Pushkin in Tashkent. Some stories may sound absurd or anecdotic: in Soviet time, in the center of Nukus, the capital city of the Kara-Kalpak autonomous republic, there used to be a monument of two girls, one Russian and one Karakalpak, as a symbol of friendship between the two peoples. 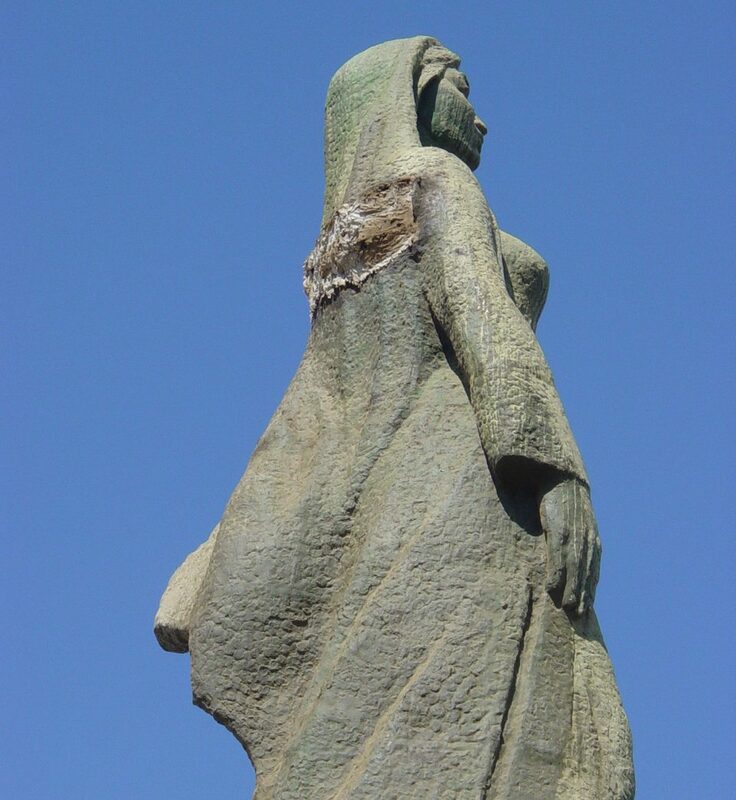 Then, however, the Uzbek authorities decided to modify the monument by deleting the Russian girl but they left a trace of her hand on the Karakalpak girl’s shoulder. Most textbooks published in the former SU (including on exact sciences) have been withdrawn from libraries. Cases were reported of teachers forcing their students burn “ideologically outdated” books on fire. Whereas in the capital cities people still use the Russian language for purposes of inter-ethnic communication, it’s becoming uneasy to be understood speaking the language of Pushkin in the countries’ provinces. Most young people under twenty speak basically no Russian. Interestingly, many local school students who have never heard Pushkin’s name may have no idea as to what country was just recently known as USSR. Few can name the Russia’s capital. “We feel that we don’t belong here. In the past, living here was absolutely like living in Russia but things are different now: different holidays, books and even the interpretation of the history” – that’s what I heard from Russians who reside in the Central Asia on many occasions. The life of Russians in the Central Asia is so different from the life of their compatriots in Russia, that they have become “other’ Russians: if they choose to return to their historic homeland they continue to differ from the locals anyway. For the sake of justice, one has to underline that Russian language is still very strong in Kyrgyzstan and Kazakhstan. 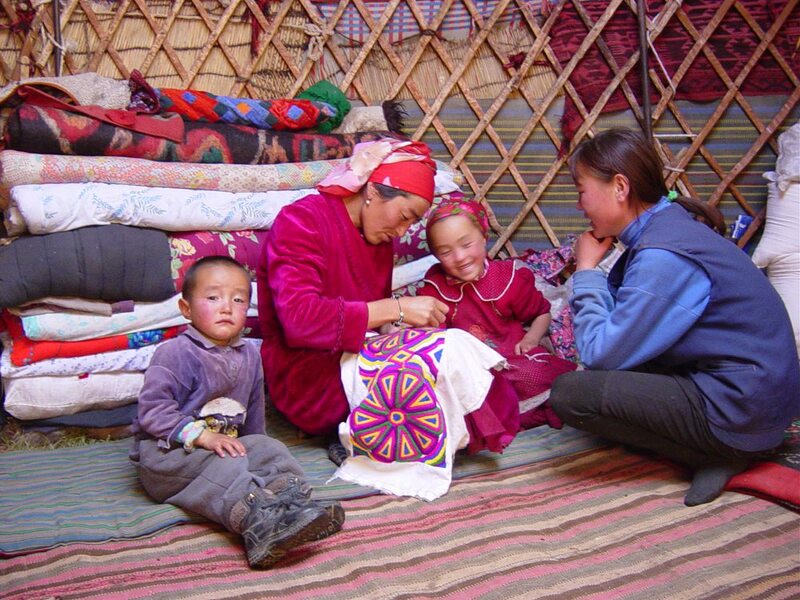 Many ethnic Kazakh or Kyrgyz people speak Russian to each other, particularly in urban areas. In Kyrgyzstan, the Russian speakers are called “Kirghiz”; whereas those who speak the native language proudly refer to themselves as “Kyrgyz”. Anyway, even in Kazakhstan you may have problems if you are Russian. Though some of ethnic Russians may be successful businessmen or scholars, they are not willingly allowed to take high public office. As a result, if you are a citizen of Kazakhstan who has at least one drop of documented blood to prove your Kazakh descent then most probably you choose to be recorded as a representative of the titular nation. Thus, one can pretty often see a person of purely Russian appearance but whose passport says he/she is Kazakh. Due to impoverishment the states of the Central Asia gradually but inevitable decline into the Middle Ages. Some villages practice natural economy. Just like in the ancient times, peasants do ox plowing and take wheat to watermill for grinding. Actually, there is another option: farmers throw wheat on a road and let cars drive over. 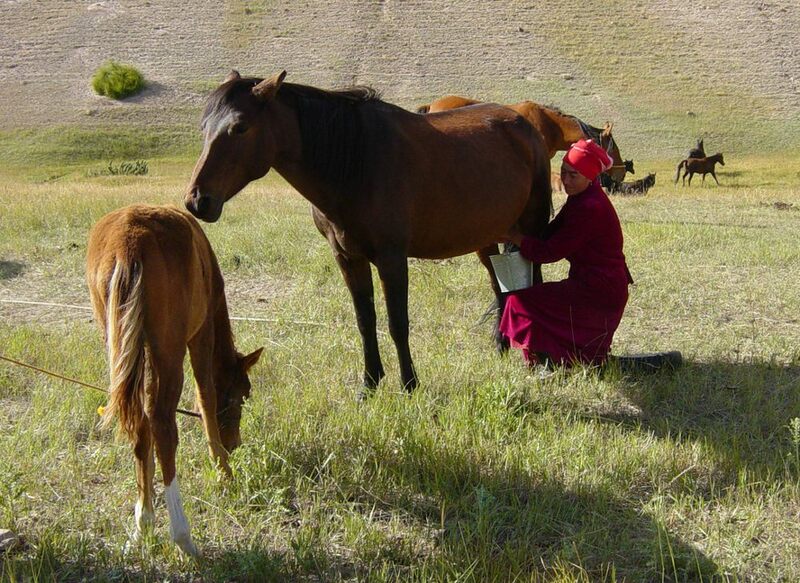 While Uzbek and Tajik peasants primarily survive by growing vegetables and fruits at their tiny plots of land, rural Kyrgyz people grow cattle. Each April they drive herds towards the alpine pastures and continue grazing until mid-November. Back in the soviet time the life styles of people in the region was not much different from those in the rest of the FSU. Basically, all men would drink while women would dress up as freely as in other republics. Things have changed very radically after the collapse of USSR. It’s no exaggeration to say that Islam is a new fashion in the Central Asia. Just few years ago, there was no chance one would come across a woman wearing a hijab in any of the cities in Ferghana valley. Nowadays, almost every third local woman is dressed up like a devout Muslim. Another fashion that has become very common recently is the so called Islamic wedding: men and women seated in separate places, no alcohol or loud music. Such an Islamic renaissance most notably manifests itself in the areas inhabited by Tajiks and Uzbeks, as these people are in general much more religious than people in Kazakhstan, Kyrgyzstan and Turkmenistan who used to be nomads in not-so-distant past. The whole range of radical Islamic organization carry out their activities across the region towards the creation of a Shariah state in the Central Asia. 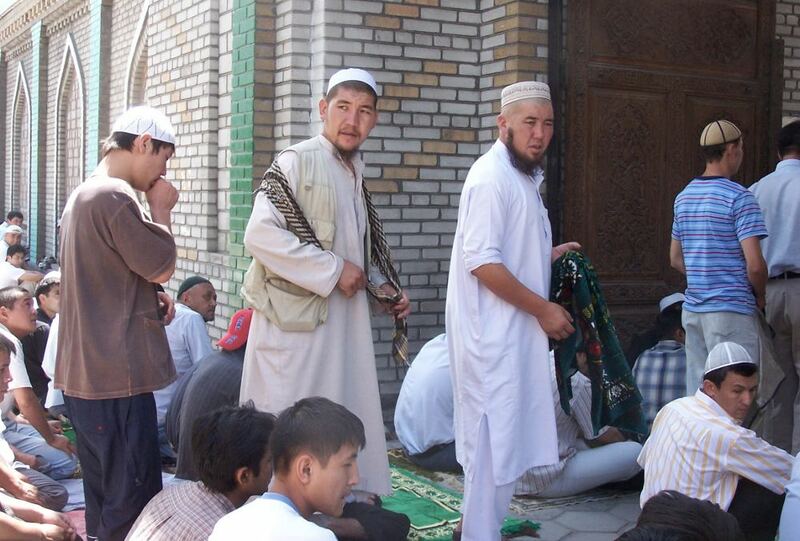 Some of them, particularly the Islamic Movement of Uzbekistan, are prepared to resort to violence. As a matter of fact, during the civil war in Tajikistan, some sort of an Islamic state had already been created in its territory. When governmental troops had been compelled out of the Karategin valley in Tajikistan the Islamists established there an unprecedented despotic regime. Even the appearance of Islamists who came down from the mountains was terrifying: each one had a chest-long beard and hair down their shoulders. Under their law, women were forced to wear hijabs at all times, alcohol and cigarettes were banned. Violators would be beaten in mosques, for some reason using a grenade (instead of a baton, in accordance with Shariah rules). In the district of Vanj, rule breakers would be locked up in an empty metal water-tank for few days. If a victim did not want to be quiet, mujahedins would throw a stone at the water-tank causing the prisoner’s eardrums to burst. Yet, however, one should not overestimate the potential threat of creation of an Islamic state somewhere in the Central Asia. Indeed, Karategin is a very special region of Tajikistan. People here are much more religious than elsewhere in the whole of Central Asia. Overall, the population in the Central Asia (at least, so far) has remained a way over secularized than in the neighboring Afghanistan, Pakistan and even the Xinjiang Uyghur Autonomous Region of China which was conquered by Communists some thirty years later than Central Asia. By the same token, one should not underestimate the probability of creation of an Islamic state at least in some part of the Central Asia in case of a major cataclysm. One may recall that people in Chechnya never used to be more religious than Uzbeks or Tajiks. In spite of this fact, this republic today has de-facto created a state of its own (under close patronage from Moscow) that abides at least partially by the rules of Shariah in lieu of the secular laws. 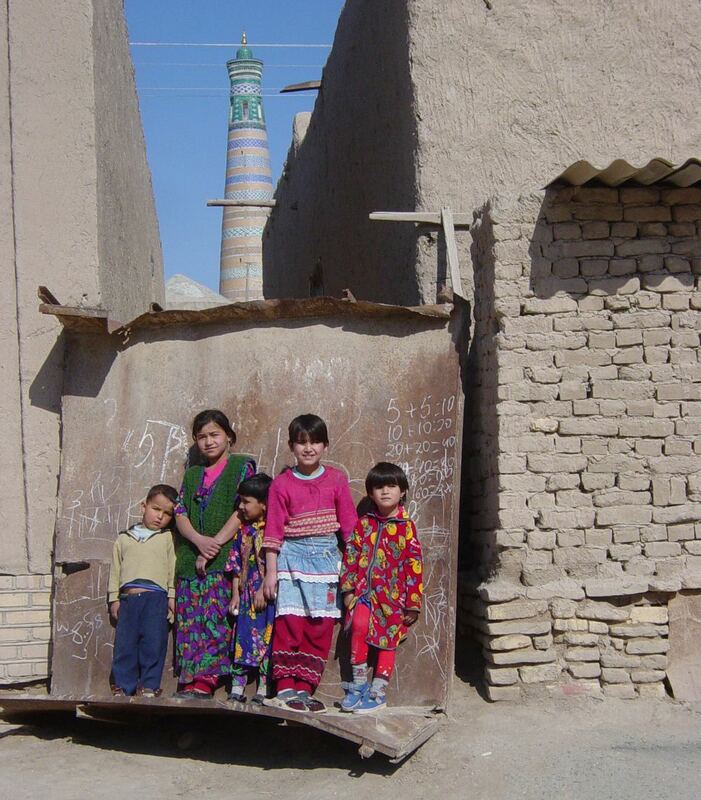 Who knows what laws will be followed by the Central Asian children when they grow up? The situation is aggravated by relocation of the IMU warlords into the areas of Afghanistan in proximity to Tajikistan (mainly the province of Kunduz). “I have met the IMU warlords and been amazed how well they are equipped. They are better armed and equipped than the Taliban. You get an impression they are real pros. They have new machine guns and radios”, says my colleague Matin Safaz, a journalist from Kunduz. Curiously, the average age of the IMU members is around 30, at least as my colleague claims. 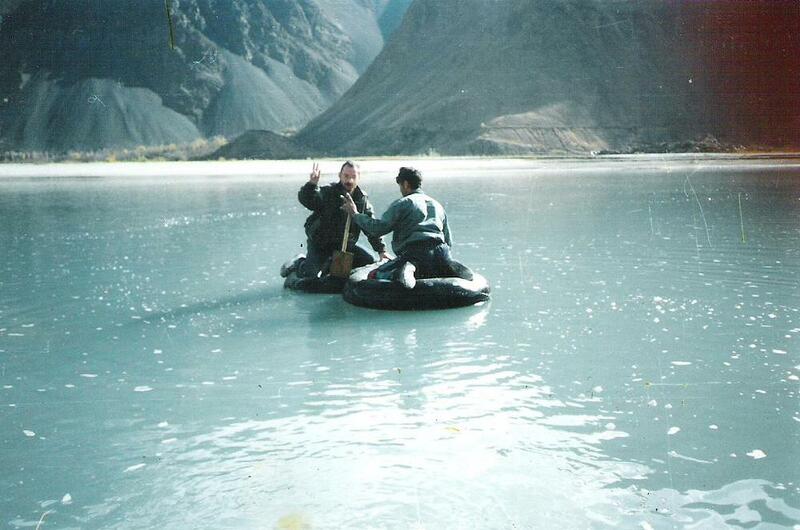 Most IMU members have moved from the Central Asia to Afghanistan over 10 years ago. Therefore, this international terrorist organization has obviously been replenished with new followers. 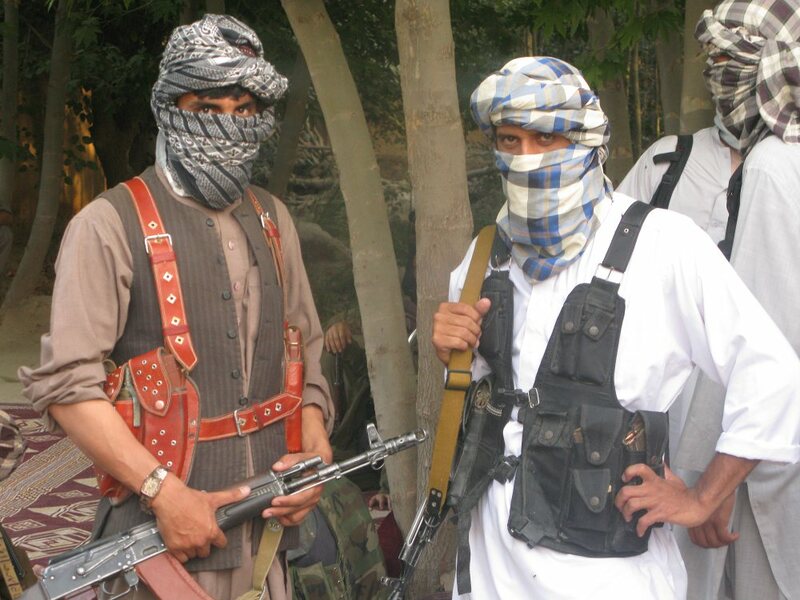 “Uzbek and Tajik militants engaged in hostilities in Afghanistan today are totally different from the insurgents who were involved in the civil war in Tajikistan”, says a staffer of an international organization in Kunduz who wishes to remain incognito. “They belong to a new generation focused on the idea of Jihad. These people are much more radical than their predecessors”, he continues. 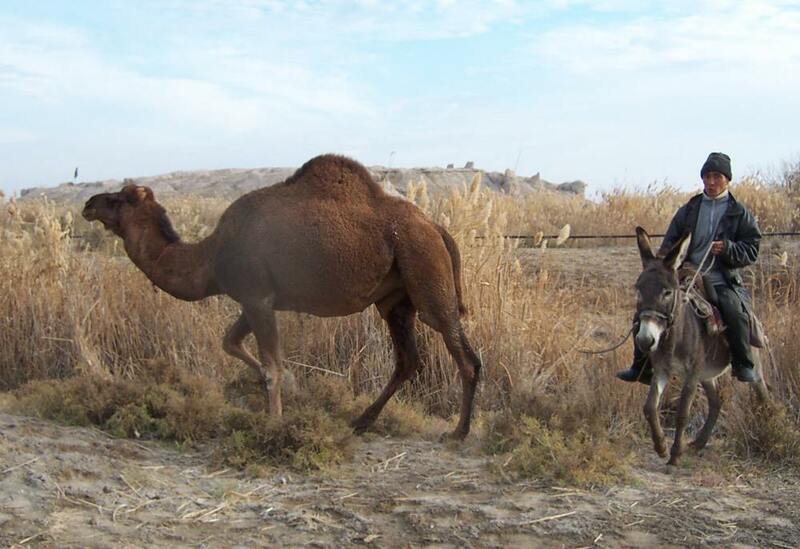 According to the deputy chief of the national security department in the Kunduz province (of Afghanistan) Abdullah Karim, criminal groups at both sides of the border have long been in touch with each other: drug trafficking from Afghanistan in exchange for weaponry from Tajikistan has been practiced very commonly across the border. Seemingly, the situation is growing complicated. “Operations of the IMU supervised by al Qaeda”, - says Abdullah Karim, and continues: “Takhir Yuldashev (IMU warlord who was killed recently) was in charge of all the Taliban forces of non-afghan origin, including Tajiks, Uyghurs, Chechens, Arabs. It’s true that Taliban is attempting to break down the NATO supply chain from Central Asia. This can be best achieved by destabilizing the situation at both sides of the border. I believe the IMU, as the Al Qaeda’s elite force is going beyond Afghanistan. Taliban is relocating significant forces into the forests along the Pyanj river that separates Afghanistan from Tajikistan”. 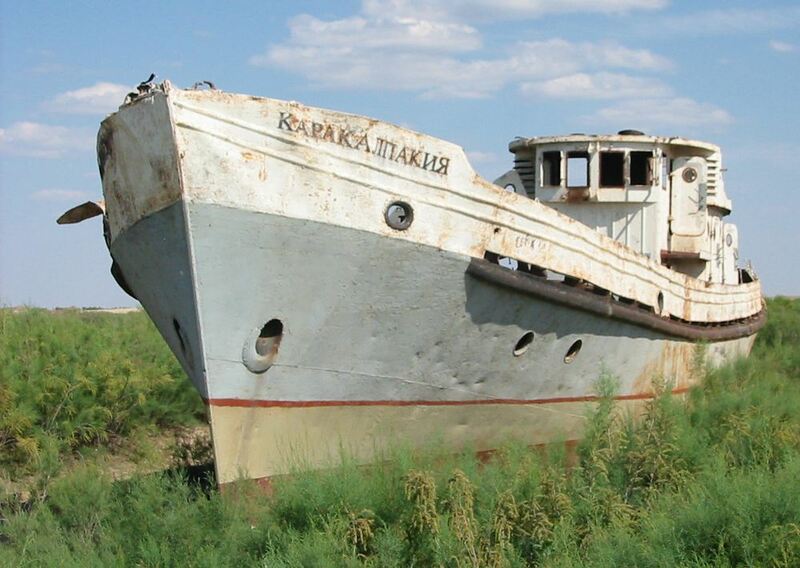 The town of Muynak in Uzbekistan symbolizes the Aral sea’s tragedy. Just thirty years ago it used to have a prosperous fishery sector. Local population could boast of its wonderful beaches, clean water and plenty of fish. Nowadays, the town is over 100 km away from the sea. Still, you can see the signs of the former sea-port’s life everywhere. When you enter the town, you come across the monument that features fish as the town’s official symbol. The monument to heroes of the World War II stands up on a cliff above the desert that used to be the sea coast. Perhaps the gloomiest impression is the Muynak’s old harbor called today a ‘ship cemetery”. Shipwrecks scattered in the sands with only herds of goats grazing around. “Almost everyone in our town used to be a fisherman. We have no jobs now that the sea is gone. Basically, the only source of income for most local households is a pension of few $US paid to pensioners. A family that makes over twenty bucks per months is considered wealthy. 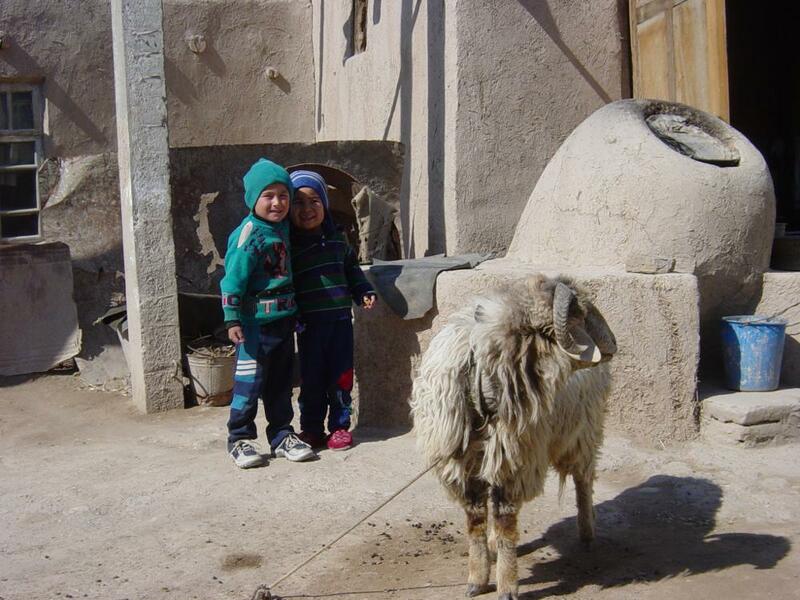 Our town is probably the poorest place in Uzbekistan”, locals complained to me. Walking around the town, you keep on coming across remnants of old houses. 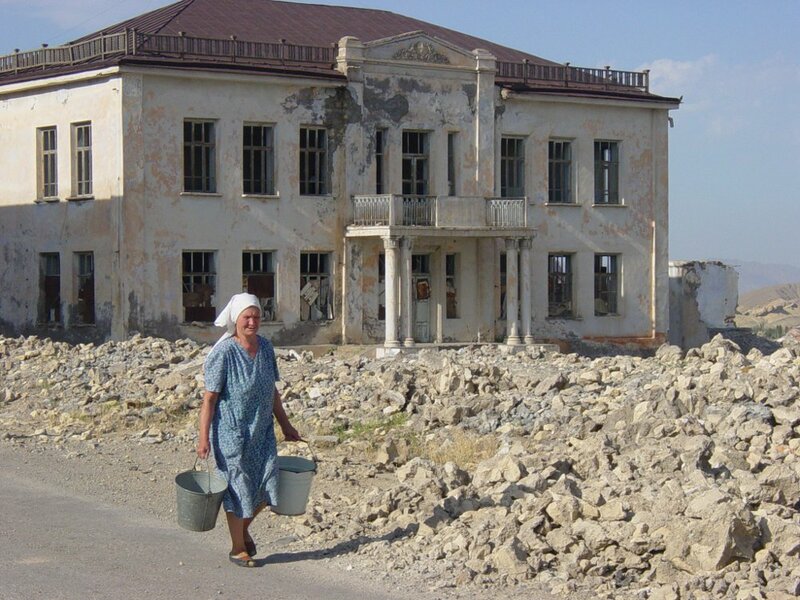 Value of a house in Muynak is determined exclusively by quality of construction materials: houses are purchased for demolition, materials are taken apart and sold in other regions. The former sea port is the ghost town: desert streets, abandoned half-ruined shops, cinemas, clubs. Technically, the town of Muynak is just a geographic spot where Aral sea’s problems are most visible. In reality, same problems are typical of countless towns and villages lying hundreds of kilometers away from the former Aral sea, both in Uzbekistan and in Kazakhstan. Semi-dead towns can be found across the Central Asia, far beyond the Aral sea region. Late last century the Kremlin had invested substantially into development of the remote mountainous areas of the Central Asia. Dams and mines were built up in the highlands, hundreds of kilometers away from the nearest towns. Those model settlements meant to symbolize the strength of the Soviet Empire would be inhabited by volunteers coming from all over the former Soviet Union. That was when the Russian “islands” were built high up in the mountains: Rogun, Nurek, Maili Sai, Shurob, Tash Kumyr. Workers would be proud of their decent salaries, and each town would have cinemas and stadiums. Nowadays, most of these settlements have turned into ghost-towns. The very first impression a new-comer gets when visits a town like this is that the place has been under massive bomb attack. Basically all buildings have been ruined while rare passers-by wearing tatters seem to be totally indifferent and disinterested about just anything in the world. Nonetheless, half decayed signs “Cinema”, “School”, “Club” or “Library’ remain as evidence of life roaring here in the past. Today, price of a two bedroom apartment in any of these towns ranges from 10 to just under 100 dollars but nearby villagers do not bother to pay even such miserable amounts. Abandoned houses inevitably get broken down for the sake of bricks and timber. Most local people drag out a pitiful half-starved existence. 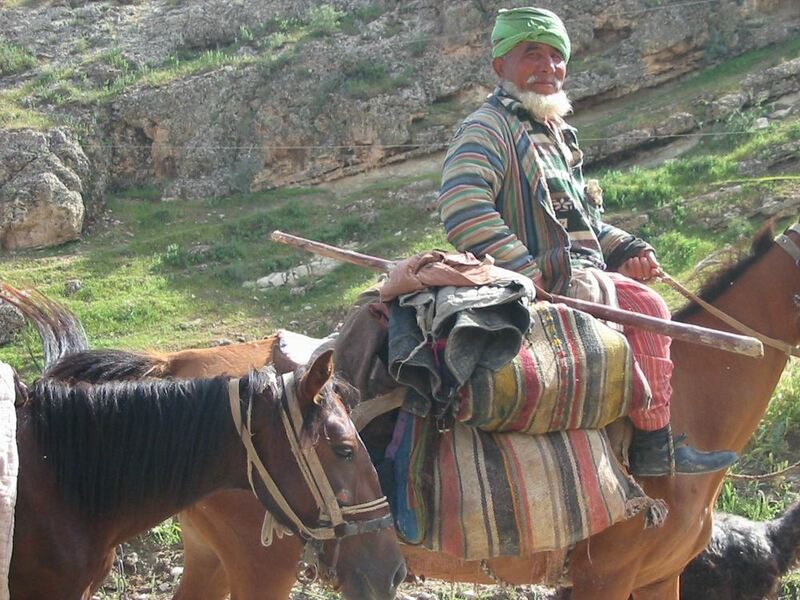 In order to survive, they roam nearby villages and trade their personal belongings for food. If somewhere in the streets of a Central Asian town you encounter a person wearing tattered clothes, beard and a backpack over his shoulders then you can tell a foreigner. In the West they are called back-packers. They belong to a totally specific category of tourists who travel neglecting comfortable accommodations pursuing adventures in the wild nature. It is for this category of people that the Central Asia is particularly attractive. If you’re one of them and you plan a brief reconnaissance trip your best option is to take a combined visit in two strongly different countries: Uzbekistan and Kyrgyzstan. Only in Uzbekistan and Tajikistan one may fully experience the uniqueness of the Central Asia, perceive the culture of this region which is so different from the Russian culture. People here practice the genuine cult of food. Any business meeting starts invariably with “let’s have some food”. You have to be a complete loser if no one treats you to a lunch or dinner, but at the very least you will be offered some tea since having a conversation without tea is unthinkable. Teahouses are to be found everywhere; a typical man in Uzbekistan or Tajikistan comes around there every afternoon for a chat with friends, holding a piala (round teacup without a handle) of fragrant tea in hand. If time is a factor it is better to limit your trip to visiting Uzbekistan only. Some of the most ancient cities of the Central Asia, such as Bukhara, Samarkand and Khiva can be found here. Besides, in the same country one can visit the majestically gloomy desert of Kyzyl Kum desert, explore ruins of ancient fortresses lost in the sand, and visit the ship cemetery where the Aral sea used to be. 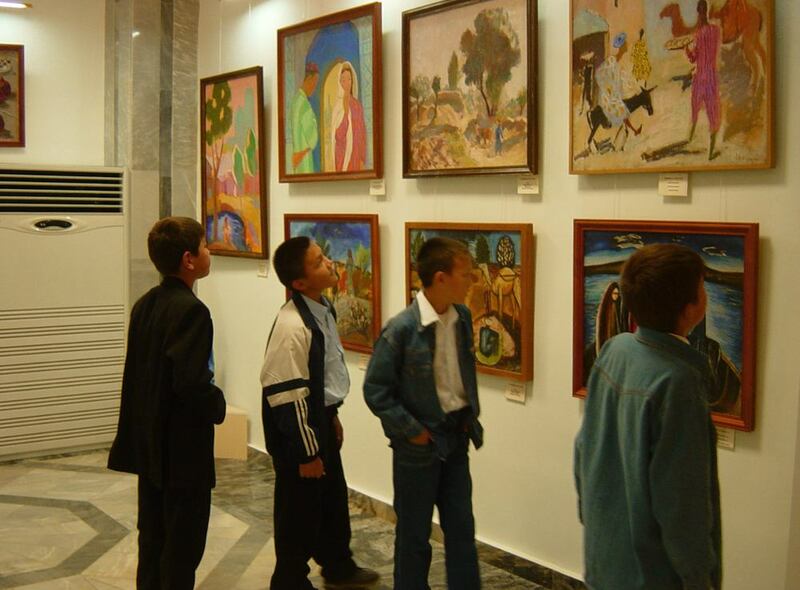 In the capital of Karakalpakstan surrounded by deserts you can find one of the largest museums of the Russian avant-garde. The museum’s phenomenon has to deal with the name of its founder, Igor Savitskiy. He had moved to Central Asia upon graduation from the Moscow Fine Arts Institute in 1950. Being a passionate admirer of the Russian avant-garde he’d developed his collection by taking advantage of the distance away from the capital cities and officials from the government and chasing pieces of art all over the former USSR. After a visit in Uzbekistan, the Kyrgyzstan is perceived almost like a different planet. “This country resembles Siberia, rather than Central Asia”, said my friend, a British journalist who traveled along across the region. Indeed, one can hardly find here any picturesque orientality, at least in the Kyrgyz cities. 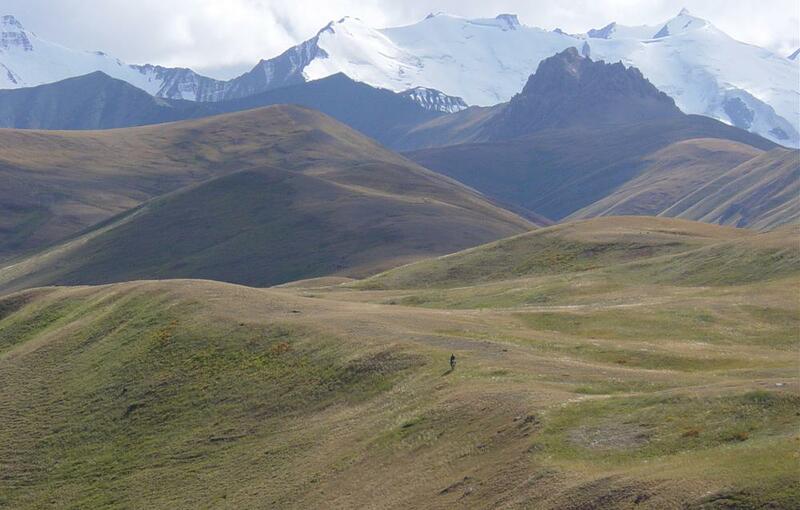 It makes sense going to Kyrgyzstan for the sake of the wild nature, primarily. Here, you can spend weeks hill walking and biking in the never-trodden-before ranges, or simply staying in shepherds’ yurts at the alpine pastures, enjoying horseback rides and the purest organic food. End your vacation by the lake of Issyk-Kul, conventionally referred to as the “Central Asian sea”. At least for a non-whimsical tourist who does not care about luxurious and comfortable accommodations, the Central Asia is a perfect travel destination. It’s particularly enjoyed by Russian travelers. People from the former metropolis are welcomed and respected, while the Soviet times are recalled with nostalgia. “We used to live like in paradise but we never realized it then”, local people kept telling me. Alas, the region’s outlook for the future is rather pessimistic. 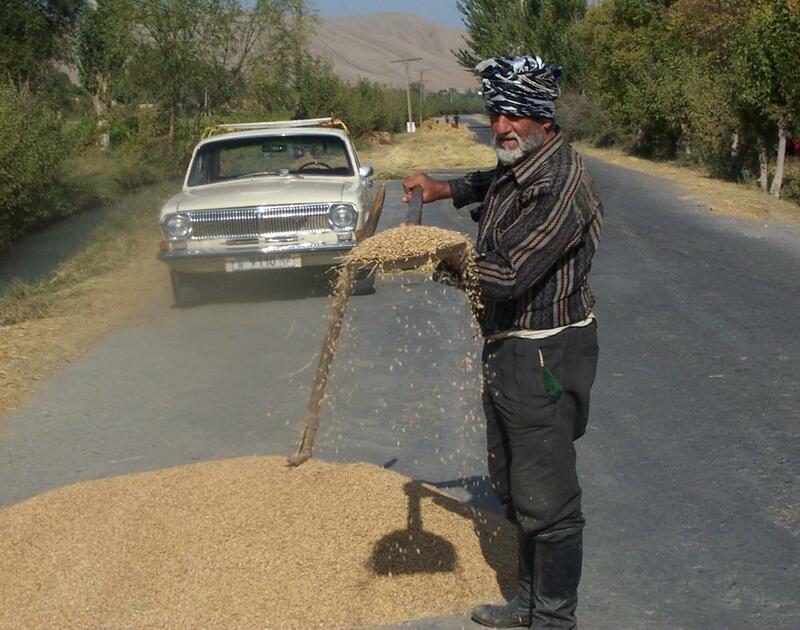 The situation is particularly vulnerable in Tajikistan and Kyrgyzstan. 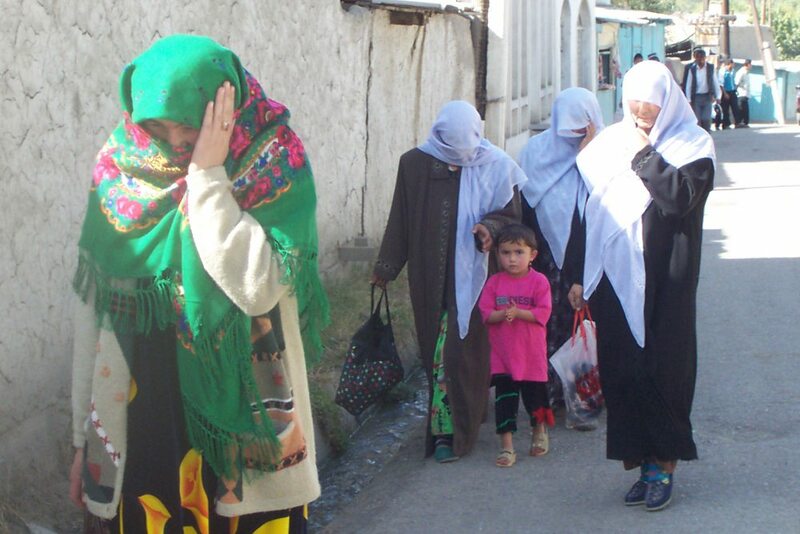 Symptoms of the civil war resumption in Tajikistan have manifested two years ago in summer along with the outbreak of hostilities between members of Islamic radical organizations and governmental forces in the mountainous areas in south-east of Tajikistan. Ever since that, clashes between the well-equipped Islamists and governmental troops have basically grown commonplace. As already mentioned before, the situation is further aggravated due to the “afghan factor”. This anecdote has grown rather popular in Kyrgyzstan: a tourism company offers to engage in a revolution, “just $10,000 and we’ll arrange for a crowd of protesters who overthrow the president and you can sit in his office”. This joke has at least some truth about it. Deposition of president Akaev has set a dangerous precedent. The temptation to topple the president by violence is too strong to resist for the regional clans competing for power. Indeed, it is no problem to gather a crowd of starving jobless marginal provincials, as many of them consider revolution as an indulgence for robbery and pillage. The recent revolution has somehow translated into raiding the Turkish and Uyghur minorities. In fact, for the first time, the ‘revolutionaries’ have used the “anti-Russian’ slogans too. I had a conversation with Elena Dmitrichenko, an ethnic Russian woman, living in the village of Maevka, inhabited primarily by the Russian and Turkish minorities, located in the suburbs near the Kyrgyz capital city of Bishkek, who recalled that raiders besotted with alcohol and drugs were actually chanting: “Russian, go to Russia! Turkish, go to Turkey!” Others reported hearing anti-semitic exclamations during the April 2010 events as well. In light of these events, the massacre against the Uzbeks living in the south of Kyrgyzstan that was started just a month and a half later has to be perceived as rather inevitable. Today, many Uzbeks in the local community seek vengeance. The situation appears totally intimidating once you consider the extremely active Islamic radicals (primarily among the ethnic Uzbeks). Things are not easy in Uzbekistan either. So far the president of Uzbekistan has been able to control the republic via tough oppression of dissidents. Yet, in no other Central Asian republic have I come across such an evident frustration of the people with the official policies. Living standards are enormously low while corruption has flourished unprecedentedly. In spite of the mass reprisals, Islam Karimov has failed to terminate the illegal Islamic movement, which has ever increased the number of the Caliphate followers. This country can be compared to a sealed pot with boiling water under pressure which may explode at any moment. While some may consider this an exaggeration, the recent events in the Middle East and Iran demonstrate the likelihood of a pessimistic scenario, for some of the seemingly enduring totalitarian and authoritarian regimes have proven vulnerable. Destabilization of the largest republic in the Central Asia may lead to a chain reaction in other countries of the region as well.